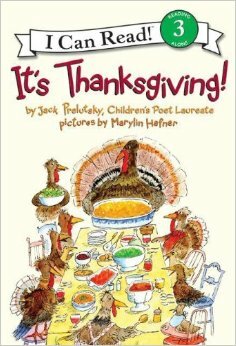 Each year, I add another Thanksgiving book to our library. Since starting the tradition many years ago, we have quite a collection. We read … and re-read the stories of the pilgrims with our kids. Now, they are reading those stories to their own children. Little things—as you know—turn into big things over time. Taking time to trace a turkey handprint and make a “Thankful Tree” and the wrapping it up with a story is my idea of a great Thanksgiving season, one of the “big” things of mothering. Books are blessings for years and years. I set books out for our kids to read all around our house, especially during the holidays. Mix up some hot chocolate with your kids and settle in with a good book. The memories you make will last a lifetime! 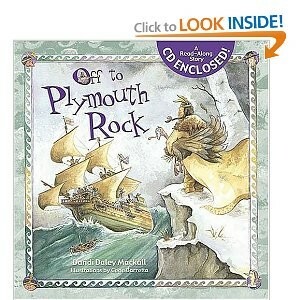 If your kids are in-between story books and chapter books, this is a great find. It is part history book, part pretend. Great visuals! Our kids have loved it from ages 8 and up as a read-aloud and on their own. This charming story for children illustrates how a loving farmer can turn a simple pumpkin into a simply glorious sight. In the same way, God’s transforming love can fill each of our hearts with joy and light. 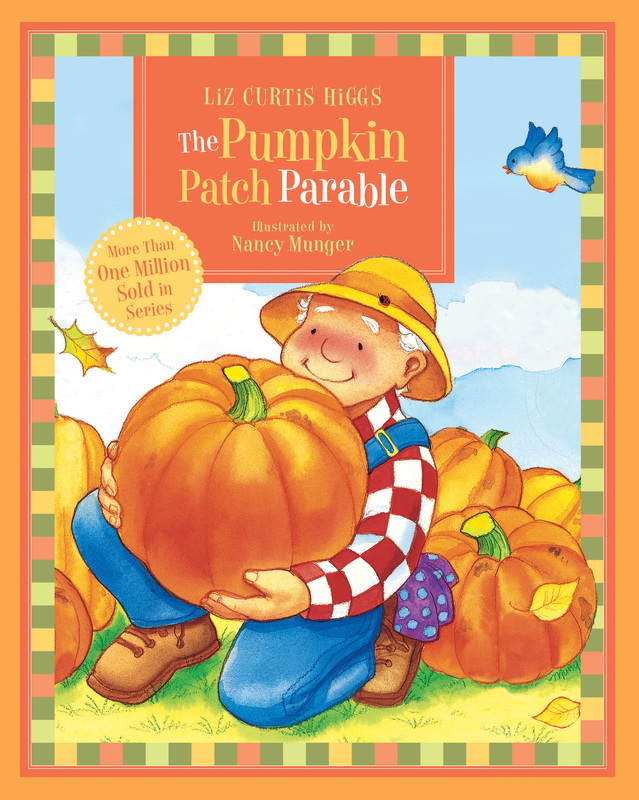 Liz Curtis Higgs created this parable as a way to share the Good News with her own precious children each harvest season. 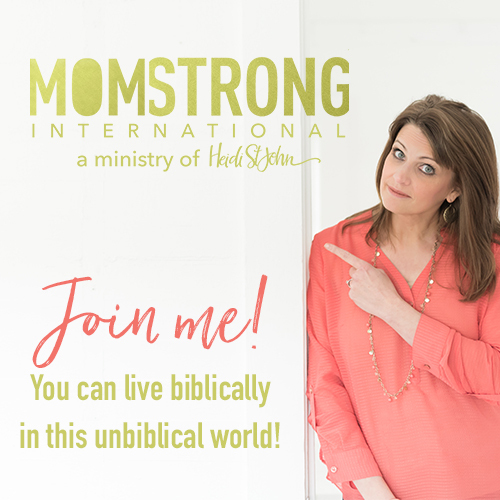 It makes the message of the gospel come alive in a way that only the harvest season can do. I’ve also found this story being read aloud on YouTube. She reads a little too fast for our taste but it’s still cute. 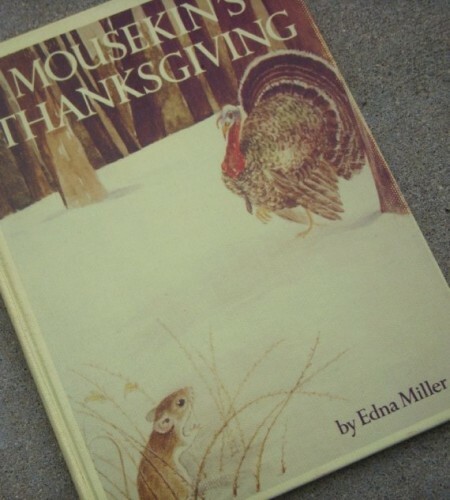 The whole series of Mousekin books by Edith Miller, published from 1964 to 1992, can be found listed at Loganberry Books. 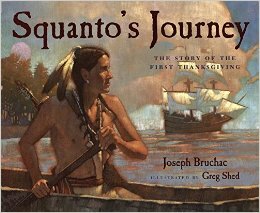 In 1620, an English ship called the Mayflower landed on the shores inhabited by the Pokanoket, and it was Squanto who welcomed the newcomers and taught them how to survive. When a good harvest was gathered, the people feasted together–a tradition that continues almost four hundred years later. A house full of relatives can mean only one thing — it must be Thanksgiving! 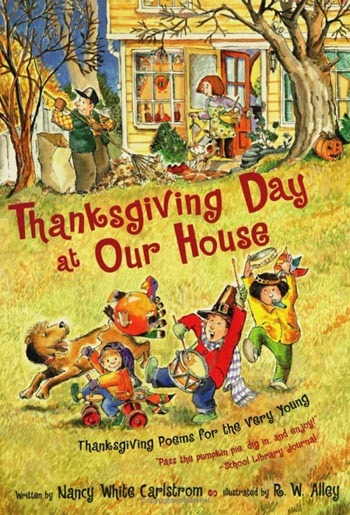 Starting with a school pageant the day before Thanksgiving and ending with after-dinner snoozing, this book offers a peek at one family’s holiday celebration. 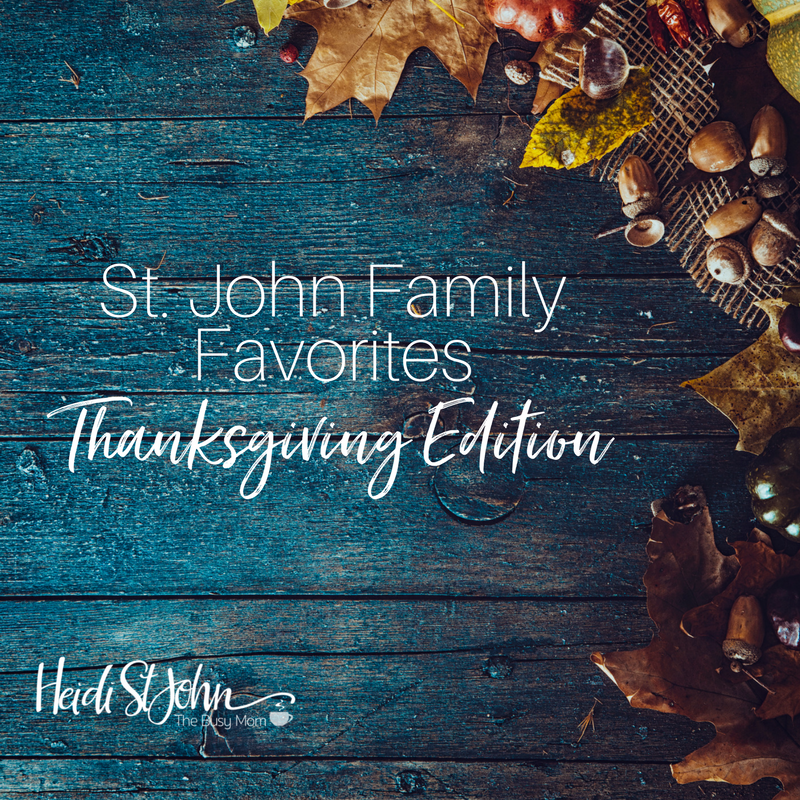 Whether for rhyming or singing or simply saying grace, these warm, cozy poems show that there are lots of ways to give thanks — and so many things to be thankful for! This book has been in our family for years. It’s full of poetry and delightful illustrations. Hello! We LOVE Amelia Bedelia! When Amelia Bedelia helps out with the school Thanksgiving play, she causes quite a scene. 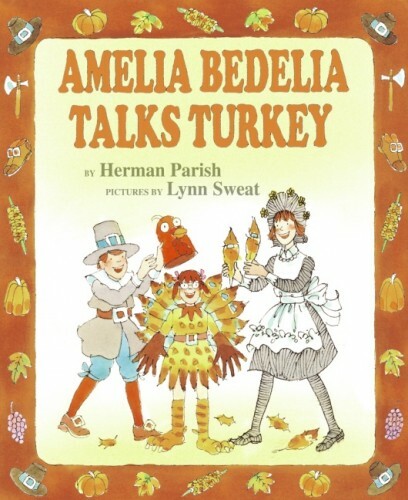 Let’s all give thanks for another funny new Amelia Bedelia story! This is a great book for early readers—and parents who love to read out loud! 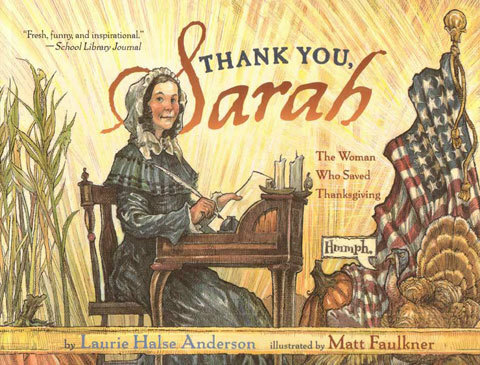 This is one of our favorite read-alouds! 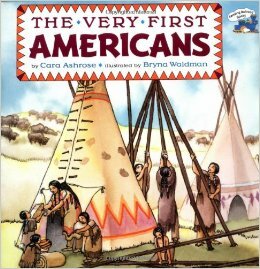 This is a wonderful book for showing children how different groups of Native Americans lived. 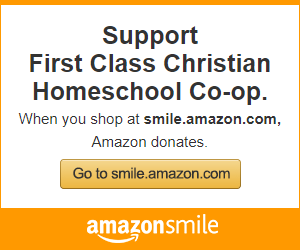 We have used it as early as pre-school and it’s been enjoyed through early elementary age. *An I Can Read Book! *I do not recommend the Kindle version. Formatting is poor. 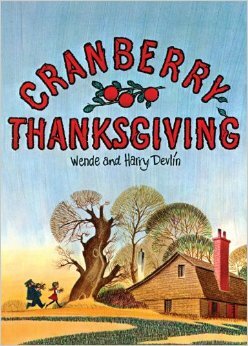 In this engaging retelling of the story of the first Thanksgiving, the whimsical verse of Dandi Daley Mackall can now be heard on a read-along CD. 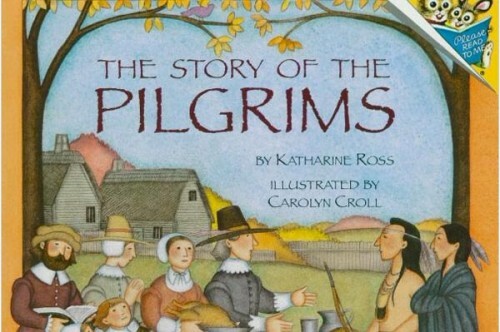 In Off to Plymouth Rock, children will love to hear the story of the Pilgrims’ voyage to the New World and the Native Americans’ guidance that culminated in the first Thanksgiving. This is the wonderful, true story of the woman attributed to starting a letter writing campaign (of 38 years!) to garner support in making Thanksgiving a national holiday. She was none other than Sarah Josepha Hale, the writer of the nursery rhyme, “Mary Had a Little Lamb”! This is a must-have book for every home library. Last year, we took our children to Plimoth Plantation—and we all loved it. The United States of America is a country with rich history and traditions! 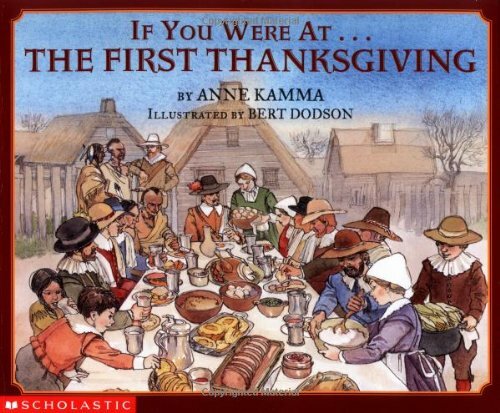 Here’s a great virtual tour of the the birthplace of the First Thanksgiving from Scholastic. For more teaching information, visit Plimoth.org. Enjoy teaching your children about them. May we never forget about the founding of the United States. Thanksgiving Blessings from our home to yours! Thank you! I just put several of these on hold at our library. We will have so much to read this month! Do you happen to have an exhaustive list of Christmas books as well???? When I was in Elementary school in Library class as a juvenile child, I remember my Librarian reading these stories. Especially Amelia Bedelia.